Edinburgh Book Festival now runs for two weeks each August in Charlotte Square, and get 220,000 visitors in that time. Their bookshop is always worth a visit as it tends to be a bit different from the usual set up, and if you aren't coming to the ticketed events, the Square still makes a good place to eat your picnic on a sunny day during the festival. I saw three events during the festival this year (for £39 in total, before you buy the books). Here are some quick reviews of a couple of book festival events that I went to. 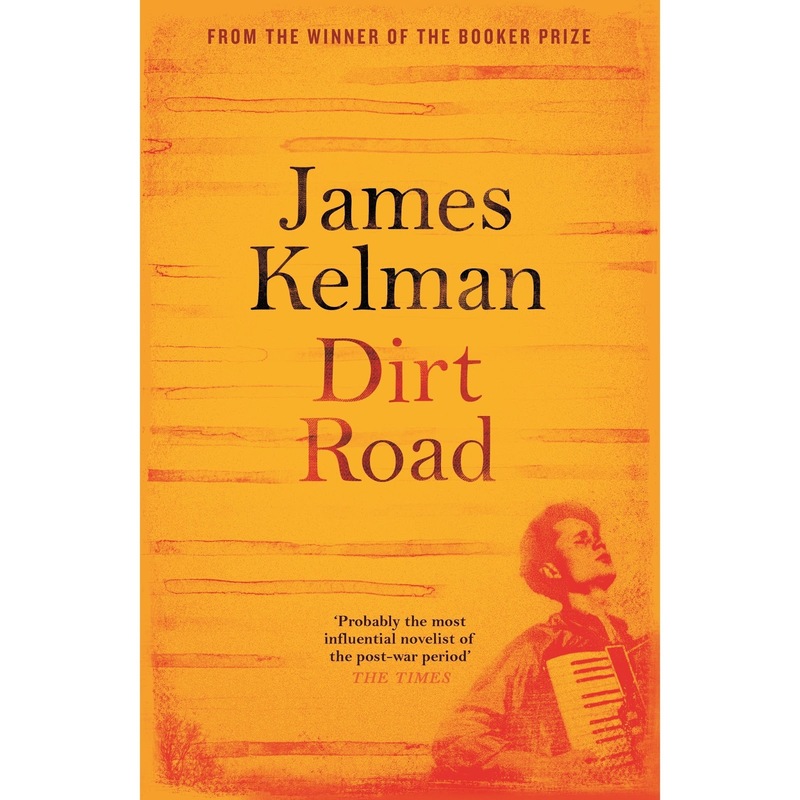 A full house awaited James Kelman, including Liz Lochead, Tam Dean Burn and other well kent faces, as he read from his exceptional new novel Dirt Road. He gave us a passage from early in the book, that told of 16 year old Murdo and his dad settling into a cheap motel for the night on their travels to meet American relatives, a break from their travails in Scotland. They are both recently bereaved and alone, after the death of Murdo's mother and sister. As Murdo heads out to the local shop to seek breakfast for them both he comes across Queen Mozee-ay, her music and the music of the south that will drive him and the story onwards. Like Alice Oswald it was good to hear the rhythm of Kelman's reading, the rhythm of the music that Murdo has a drive to make. There are clear echoes of Kelman himself in Murdo, the artist as a young man. I hadn't realised that as a 17 year old Kelman traveled with his family to America as they planned to emigrate there. Immigration/emigration and the mixed up origins of America and American music, from the Gaels to Mexicans feature as a background to the personal journey Murdo and his dad make in the book. 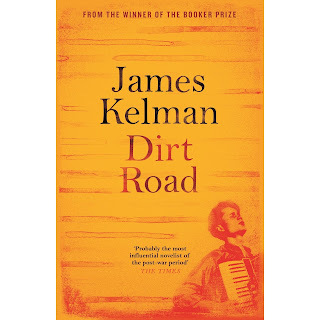 I have seen Kelman talk many times before and every time he gently shares his knowledge with the audience, on subjects as diverse as the Clearances, Russian literature, the co-operative movement, the Newport Folk Festival or the history of the Gaelic language. Whether you notice it or not you will always come away from one of his books or his talks having learnt an awful lot of stuff, mostly about people. He also revealed a lot about his writing technique here, and talked about scenes he had written then cut out of the final book - a "director's cut" of a James Kelman book would clearly be a fascinating read. I hadn't noticed the name of the elderly Creole singer, Queen Monzee-ay, hints at her Menzies hinterland and in the book various tiers of Scottish immigration to America are apparent. When asked about his ending for this book he said that "the best type of ending takes me by surprise", then when he looks back at it there is not any alternative ending. It just fits. As well as being renowned for his own works as a poet, Edwin Morgan was also a translator of the works of Mayakovsky, Racine and Pablo Neruda among others. Soviet poet and playwright Vladimir Mayakovsky is a controversial and complicated figure. He lived through the Russian Revolution and worked as a playwright, poet, artist, propagandist and was a prominent Futurist. He committed suicide in 1930 aged 36. His poem "Talking With The Taxman About Poetry" gave its title of Billy Bragg's third album. 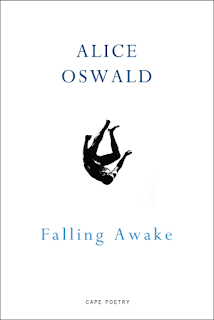 I have read some of his works before, but like many poems in translation, you are never sure how much of the original sense and feeling you are getting reading it in English. The book I have has the Russian version on the page opposite the translation, and it was clear that there were rhythms and shapes, repeating sounds that you could see in the Russian, that weren't happening on the other side of the page that I could read. Edwin Morgan felt the power of the poems evaded him, translating them into English, so for his translation he brought them into the Scots language. stuff till ye boke, for thon is your last feast. Already you can hear the sounds and anger missing from the first version, and to me this feels more like an angry Russian revolutionary's voice. To celebrate the re-printing of Morgan's poems we had Tam Dean Burn and the improvisational musicians of Ferlie Leed (double bass, harp, electric guitar and keyboards) taking us through a selection or poems from the book. With an energy and enthusiasm they brought the words off of the page to be looked at in a new way. If this had been a standard poetry reading, somebody standing up and reading from the page, this would have had niche appeal to these fluent in Scots. I had read through the poems in the days before attending this, using the glossary in the book to get the sense of the poem then reading through the sounds and feelings on the page. As Edwin Morgan is no longer with us to read his own words, this performance was a great way to give them a novel force. Tam Dean Burn definitely read them wi' his haill voice, and with all of his body. I am very sure Edwin Morgan would have whole-heartedly approved. Edwin Morgan's beautiful book, now re-issued by Carcanet is well worth getting. I managed to find another piece of Edwin Morgan's poetry on show at the Edinburgh Festival. I made my first visit to the Scottish Poetry Library, just off the Royal Mile. They have a small exhibition of concrete poetry, including some of Edwin Morgan's concrete poems, alongside those of Ian Hamilton Finlay and Vaclav Havel. There's a nice wee shop and, of course, their lending library for all your poetry needs.